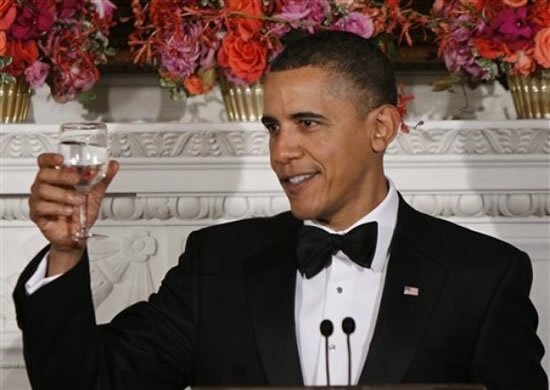 Continuing with their tradition of presenting watches to all new presidents of USA, Swiss manufacturer Vulcain will present Barack Obama with a custom Vulcain Anniversary Heart model. The watch is created not only to mark the new presidents inauguration but also for the celebration of Vulcains 150th anniversary. 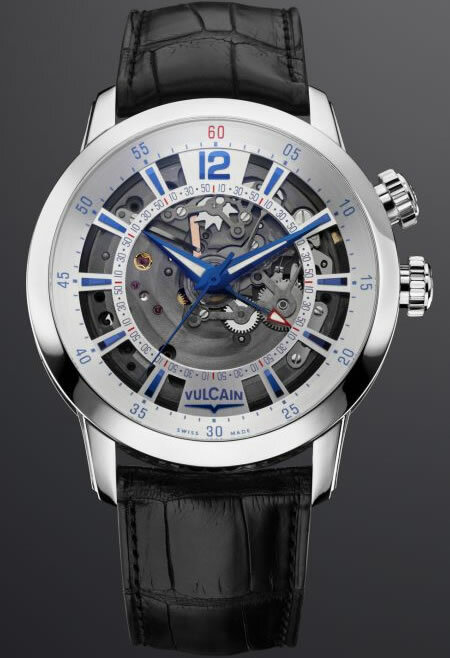 Inside the Anniversary heart is a 157-part Vulcain Cricket V-18, with its 15-20 second alarm complication. The alarm is set using the top crown and the special alarm hand in the center of the watch face. These watches famously known for their mechanical alarm movements often called as Vulcain Cricket are sure to be the perfect gift for the young president. The dial is designed in such a way as to reveal parts of the moving gear trains that power the hands. The Anniversary Heart offers beveled raised hour index markers as well as a minute scale on the edge of the dial, making it easy to read. 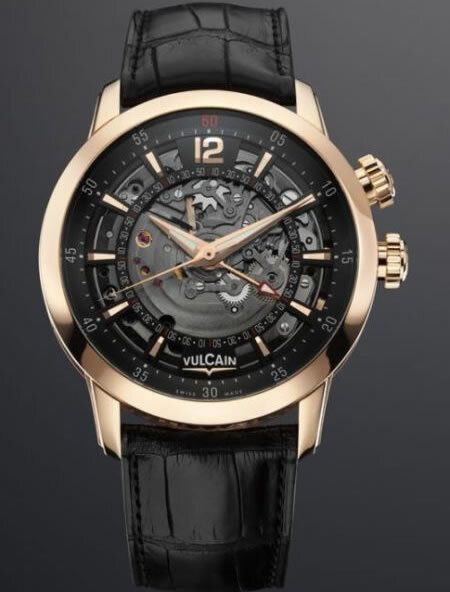 Vulcain is modifying the watch it will present to Obama with a specially engraved presidential case back. These watches are available in two versions: in steel or 18k rose gold with various color options, so it is still unsure which of the two versions will grace the presidents hand. 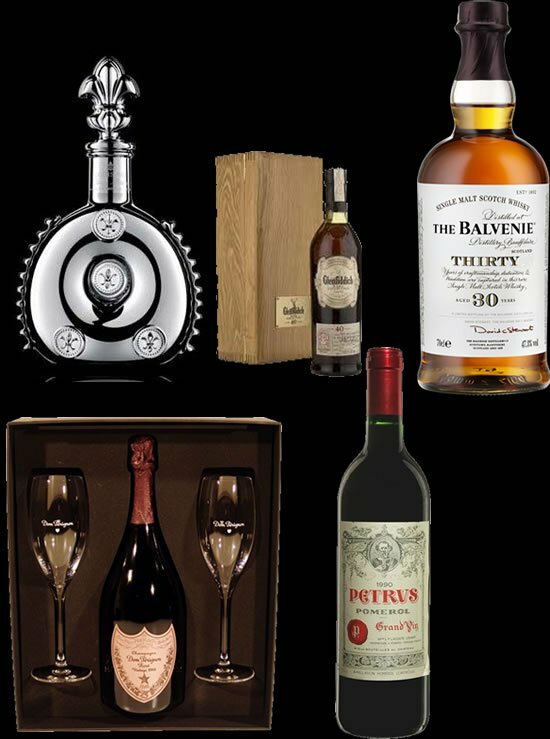 The estimated price of this watch ranges from $6,500 – $23,000. 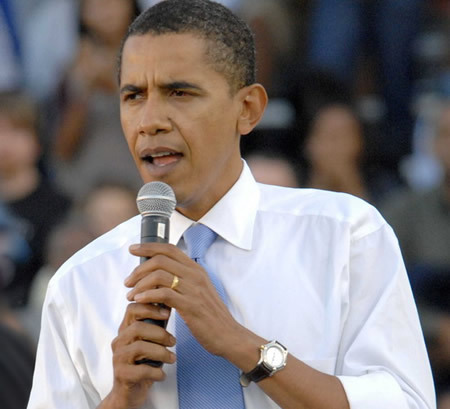 But we are sure the watch will find a lot of buyers once the President is seen sporting it.